From time to time, I’ll see something that will catch my eye and cause me to explore more. Though I don’t remember the exact circumstances, such was the case with Don’t Mess with Me Nagatoro, which is Vertical’s official name for the series Ijiranaide, Nagatoro-san. And interestingly enough, this is a manga series that started as a doujinshi series. 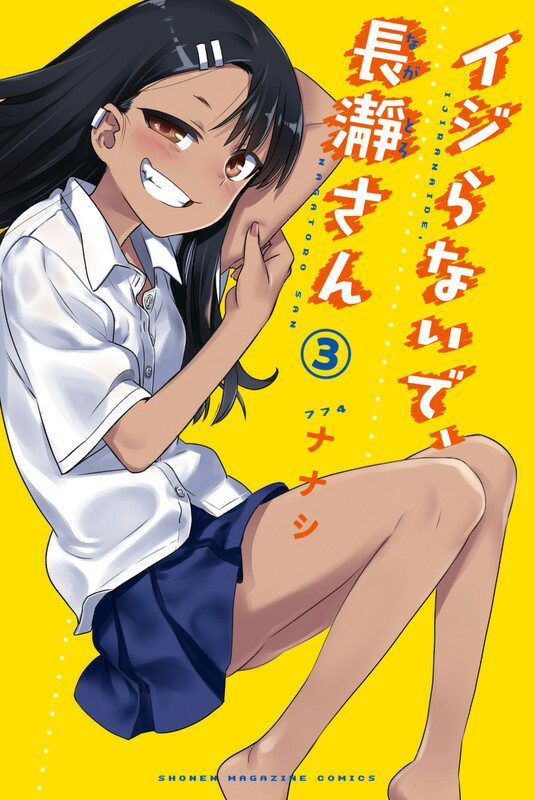 The story of Don’t Mess with Me Nagatoro centers around a high school (?) nerdy, lonely, male character whom we only know as Senpai. One day he goes into the school library, where a table of gyaru kohai girls are sitting. He accidentally knocks over his bag, allowing the contents to spill out. Among the books are his manga drawings. Three of the girls laugh at his manga, then leave, but the fourth, Nagatoro, stays behind. She’s clearly interested in his manga, but sees that Senpai self-inserted himself as the main character. She then critiques him in a fairly harsh, bullying fashion. Thus begins the odd relationship between Senpai and Nagatoro. She constantly seeks Senpai out, often teasing him heavily. Senpai discovers Nagatoro is very popular, but she’s not interested in the “hot” guys that try to pick her up. She prefers spending time with Senpai. As Senpai becomes accustom to her constant presence, he becomes more confident in dealing with her and even thinks of her as a friend. When Nagatoro’s female friends try to move in on Senpai, even just to tease him, Nagatoro isn’t having any of that! Though she’d deny having any feelings for Senpai. A story about a tanned, loli-type gyaru bullying and teasing a nerdy, beta male senpai would not be something that would hold my interest for long. Fortunately, Nanashi-sensei doesn’t fall into the trap of maintaining the status quo for the characters. As such, Don’t Mess with Me Nagatoro has both Senpai and Nagatoro grow as characters. 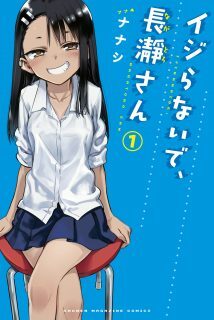 At the start of Don’t Mess with Me Nagatoro, Senpai is a loner. But thanks to his constant interactions with Nagatoro, he’s learned to come out of his shell, as it were. She convinces him to come to the beach with her and two of her friends. Later, she gets him to come to a festival and even look for her, though she was still hung up at school. I rather enjoy seeing how Senpai has evolved over the course of the manga to date. He’s still a mild otaku, but he’s hanging out with a group of popular girls. For Nagatoro, she too has seen growth as a character as time has progressed. Initially, she was fairly harsh in her bullying and teasing of Senpai. But as time has gone one, the bullying has completely stopped. She does tease him, but it is much more gentle now than it was before. Further, as time has gone on, she has a lower tolerance of her girlfriends trying to move in on Senpai at any level. At first, it was just coming between Senpai and her friends. Then this escalated to stop them from even touching him. In another instances, she chases her friends off as they attempt to bully Senpai. What’s cute is that her friends realize that Nagatoro has feeling for Senpai, even if she won’t admit it. So they even stage an event at a festival to get her to come running from her school swim practice, leading to a date situation between Nagatoro and Senpai. Most recently, we’ve seen Nagatoro even blush and become flustered a bit over Senpai. Because of these kinds of moments, this causes Don’t Mess with Me Nagatoro to not stay in the mundane, but become something fun and sweet in an odd sort of way. Still, I wonder how they’ll handle the fact that the main character is only referred to as Senpai. Vertical could make an exception to what I feel is a racist, anti-honorific policy to allow Senpai in. After all, was done for Fate/Grand Order, where Mash always addresses the protagonist as “Senpai.” Or they could surprise me and decide to just use all honorifics. If they do, I’ll buy the series. If not, Vertical can kiss my arse. I won’t buy anything from them any more than I’d buy from a burger chain that doesn’t have cheese on their burgers. I may or may not chapter-blog Don’t Mess with Me Nagatoro, depending on my mood. 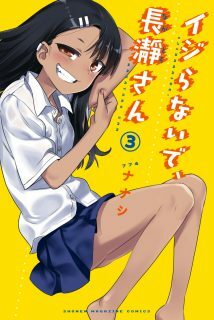 That aside, Don’t Mess with Me Nagatoro is a rather enjoyable manga, featuring a sadistic tsundere and a timid Senpai. Because the characters grow and a quite romance blooms, I highly recommend the series. The new manga of Oh my Goddess, ‘Aa Shuukatsu no Megami-sama’, is downright hideous. Just thought I’d let you know this. Ugh. I saw there was a new series coming out, but when I saw Fujishima-sensei wasn’t involved, I didn’t have much interest. Vertical is messing with their releases much more than just cutting off the honorifics. Personally I wouldn’t buy any manga released by them and any other publisher with policy like this. But to be honest, American people are lucky anyway. You have Yen Press, Seven Seas and Kodansha – their releases are great in terms of manga translation (additionally Seven Seas LN translations are really solid too). In my country situation is incomparable worse. Imagine something WAY, WAY worse than Vertical or Viz with replaced SFX sounds, often changed character names and personalities. Of course no honorifics at all (literally every publisher). Not mentioning about censorship. Generally I’m buying English releases (Yen Press, Seven Seas and Kodansha) or Japanese. I refuse to support any publisher who is butchering my manga. Vertical is messing with their releases much more than just cutting off the honorifics. In my country situation is incomparable worse. I am thankful that it isn’t that bad in America. Ugh.